What is the ECHA Restriction Proposal for Microplastic? 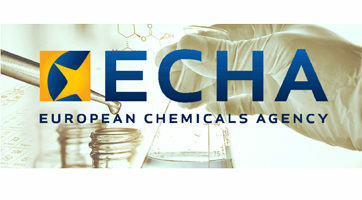 ECHA is The European Chemicals Agency. It is the driving force among regulatory authorities in implementing the EU’s groundbreaking chemicals legislation for the benefit of human health and the environment as well as for innovation and competitiveness. What is ‘ECHA Restriction Proposal for Microplastic, Jan 2019’? ECHA’s Microplastic Proposal, Jan 2019 or in full, ‘Restricting the use of intentionally added microplastic particles to consumer or professional use products of any kind’. If adopted, the restriction could reduce the amount of microplastics released to the environment in the EU by about 400 thousand tonnes over 20 years. ECHA’s proposed restriction targets intentionally added microplastics in products from which they will inevitably be released to the environment. The definition of microplastic is wide, covering small, typically microscopic (less than 5mm), synthetic polymer particles that resist (bio)degradation. What does ECHA’s Microplastic Proposal, Jan 2019 mean for glitter? The vast majority of glitter products are below 5mm in size terms, so they are considered small enough to be defined as a microplastic. If the glitter contains a polymer that is NOT natural or contains a natural polymer that has been chemically modified, it is considered a microplastic material, UNLESS it is proven to be (bio)degradable. The former part of the polymer definition relies on understanding which materials are really natural and which are not, and most critically trusting that the manufacturer, distributor etc, is fully open to disclosing what exactly is in a product. Whereas the latter part of the definition relies on clearly defined and objective third-party testing of the product to prove it is biodegradable. We therefore feel that proof through appropriate testing, or even better, through certification, will form the basis of a reliable, trusted and authenticated method to determine if a product is NOT a microplastic. The ECHA proposal strictly defines the type of biodegradability testing that is acceptable to assess if a product is NOT a microplastic. One of the permitted test methods is ISO14851 Fresh Water Biodegradation conducted by an authorised lab. This is the test method used to assess our Bioglitter® products and a successful pass forms the basis of ‘OK Biodegradable WATER’ certification.